The YMCA of Greater Pittsburgh and landlord of its Downtown location reached an agreement in federal bankruptcy court on Tuesday. 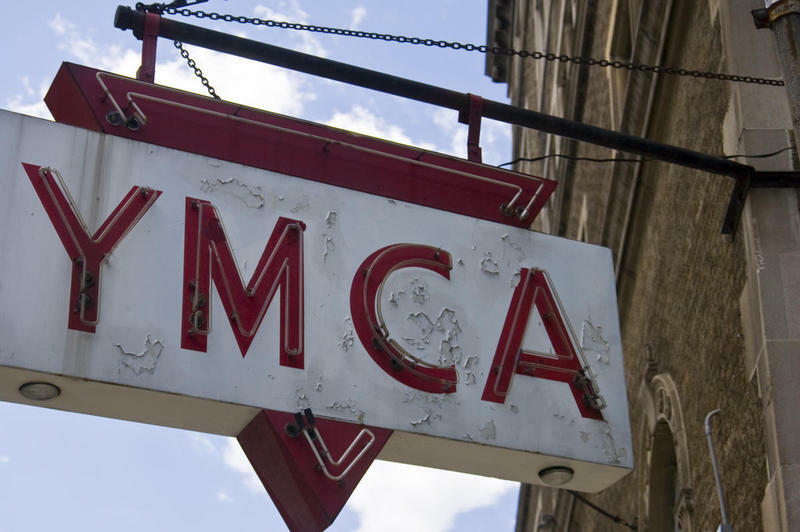 The YMCA’s settlement payments will essentially subsidize the next tenant of the Market Square gym, which closed its doors June 8. The Lantern Building on Liberty Avenue downtown could soon become a new police substation. Two Bhutanese refugees became U.S. citizens at World Refugee Day Wednesday. 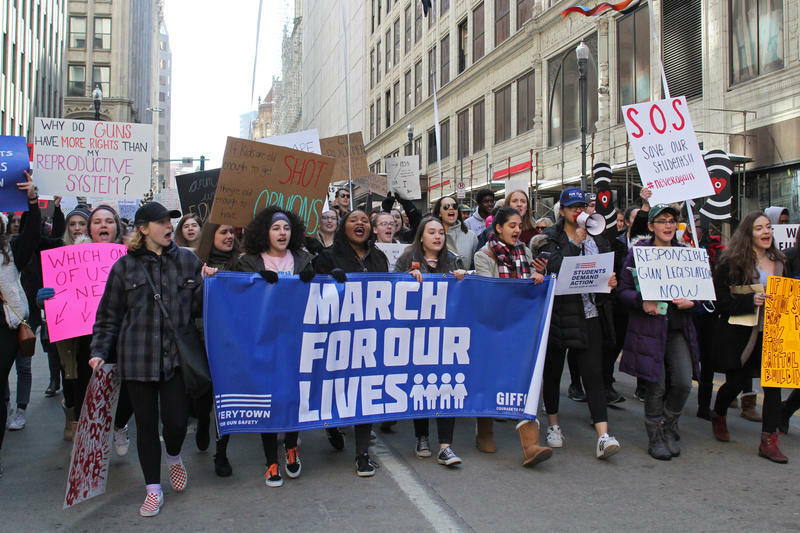 They shared their stories with 90.5 WESA's Alexander Popichak. Massud Fattah fled with his family from Northern Iraq in 2012. He had worked with the army for years to help fight terrorism in his home country. 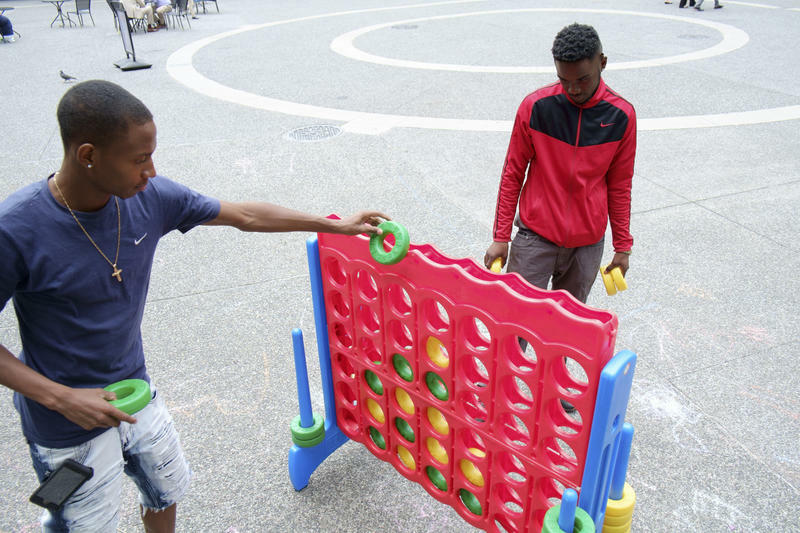 The Pittsburgh Downtown Partnership is making Market Square more engaging through super-sized games. All ages gather to play with the giant Jenga, Connect Four, ping pong, and corn hole sets. PDP CEO Jeremy Waldrup says incorporating games and other activities, such as yoga and farmer’s markets, are all part of the partnership’s goal of making downtown a fun place to visit. Ben Cohen and Jerry Greenfield, of Ben and Jerry’s Ice Cream fame, said they’ve been constituents of Vermont Senator, and Democratic presidential candidate, Bernie Sanders for more than three decades. Now they’re campaigning across the country on his behalf, and giving away ice cream along the way. 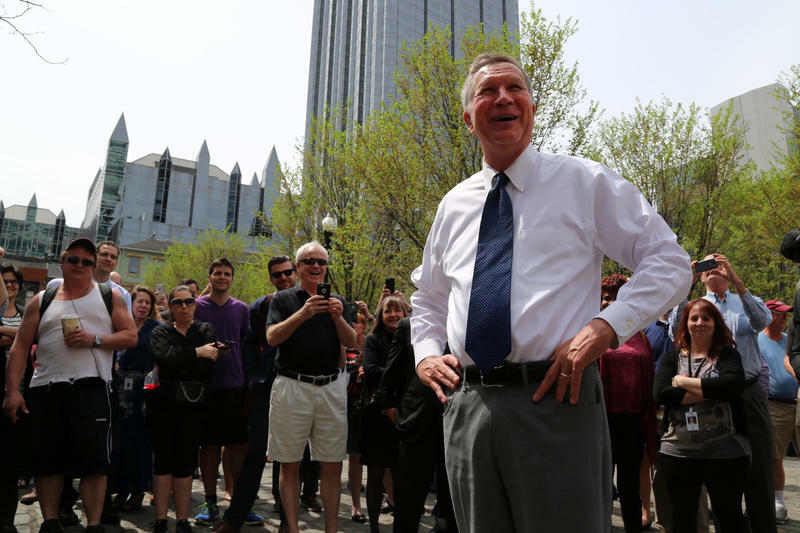 Republican John Kasich became the latest presidential candidate to make a stop in the Steel City with a quick appearance in Market Square on Tuesday. Four of the five presidential candidates will campaign in Pennsylvania this week, just days ahead of the state's April 26 primary election. On Tuesday, Texas Sen. Ted Cruz will make a nighttime visit to Philadelphia while Ohio Gov. 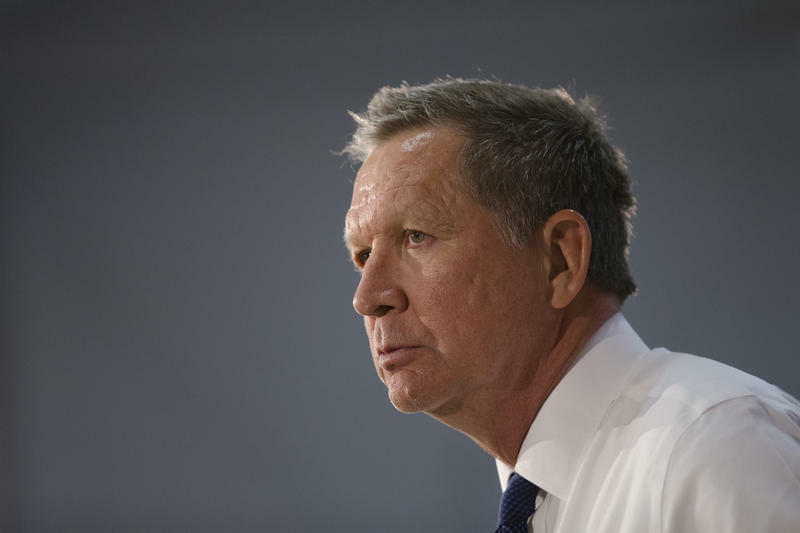 John Kasich will make an afternoon stop at the Original Oyster House in downtown Pittsburgh. They're seeking the Republican nomination. 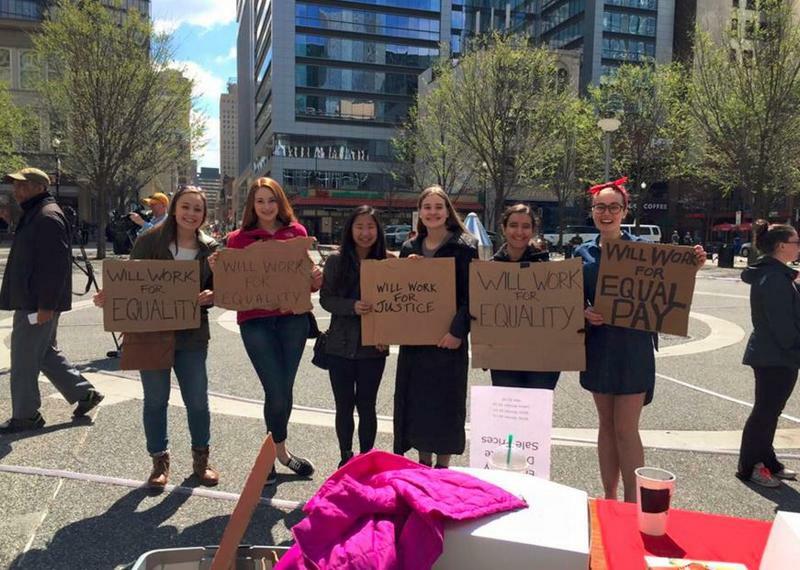 Fifty-six years after the Equal Pay Law took effect in Pennsylvania, politicians and advocates gathered in Market Square in downtown Pittsburgh on Tuesday to call attention to the continuing pay disparity in the state and nationwide. An artist will be debuting a public art sculpture in Market Square this month. Jennifer Wen Ma was commissioned by the Pittsburgh Downtown Partnership to create an art installation for the Market Square Public Art program. Jennifer Wen Ma has exhibited work at museums and spaces all over the world. Possibly her best-known artwork was when she worked with a team to design the opening and closing ceremonies of the 2008 Beijing Summer Olympics. “It’s a very difficult challenge actually to create a public art piece in the coldest months of the year,” said Wen Ma. Vendors from around the world have returned for the 3rd People's Gas Holiday Market in Market Square. What draws them to the Steel City? 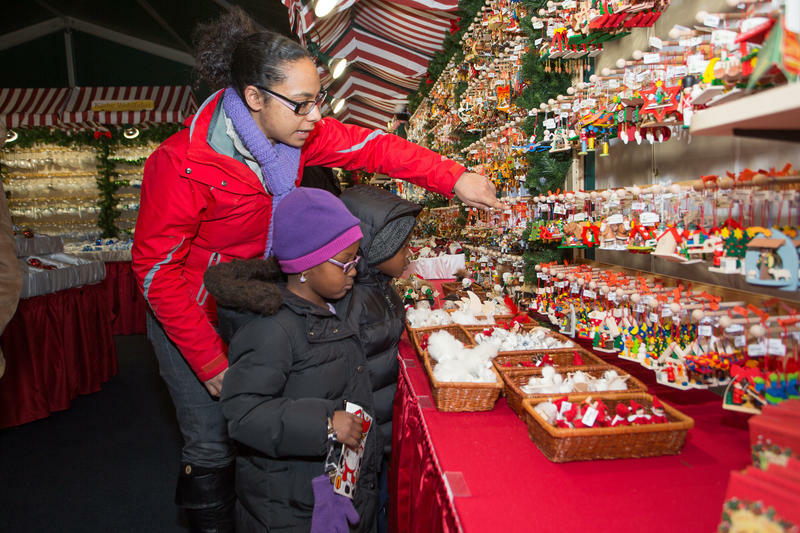 We'll pose that question to Pittsburgh Downtown Partnership Vice President of Marketing and Communications Leigh White and holiday market vendor, Louise Larkin Manager of the Kathe Wohlfahrt Shop. Pittsburgh might not have its own beach, but that doesn’t mean it can’t have a giant sandcastle. Sculptors Rusty Croft and Kirk Rademaker from the Travel Channel’s show Sand Masters transformed a five-ton pile of sand into a work of art in Market Square Thursday. The artists co-own the business Sand Guys and have been professionally sculpting sand since 1997. VisitErie, Erie County’s tourism promotion agency, hired the “masters” to create the sculpture for its “Hello Summer, Hello Erie!” advertising campaign. Pittsburgh’s Market Square is going to get brighter with the help of an interactive light, video and sound art installation. The piece, entitled “Congregation,” will be in the city Feb. 21–March 16 and is part of the Market Square Public Art Program. Created by Kit Monkman and Tom Wexler, the installation will be played on a 50 ft. projection screen and will run on a 25-minute loop. Lights will shine on the Market Square courtyard and visitors will be able to interact and manipulate the show simply by walking through it. One Pittsburgh group is trying to bring a little more life to the downtown area during the winter months. 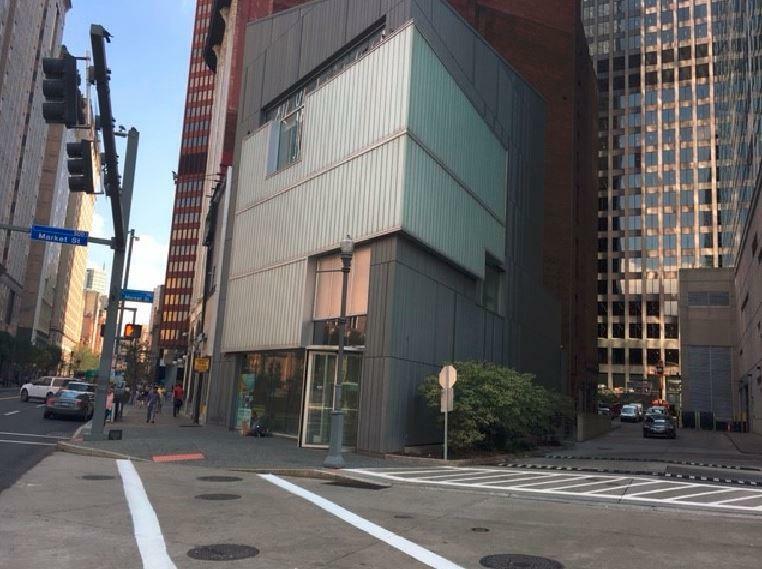 The Pittsburgh Downtown Partnership, in conjunction with the city of Pittsburgh, will begin a three-year project to bring temporary public art to the city’s Market Square. Artists are being asked to submit proposals for existing works of art to be displayed in the public plaza, or submit their qualifications to create new works.